In what didn’t come a s a surprise for those following closely Rio Tinto’s (ASX, LON, NYSE:RIO) latest moves in the aluminum and coal sectors, the Chief Executive Officer, Tom Albanese, announced Thursday he is leaving the company. After 30 years with Rio, the second-biggest miner, Albanese quit as a result of the $38 billion cash takeover of Alcan Inc. in 2007. The transaction did not bring the expected results as China emerged as the world’s largest aluminum producer, leaving Western rivals with few markets to chase. The 55-year-old New Jersey native’s second-biggest deal, the $4.1 billion acquisition of Mozambique coal producer Riversdale Mining Ltd. in 2011, also soured as a result of a sharp fall in coal prices. Doug Ritchie, who led the acquisition and integration of the Mozambique operations, is also leaving. Rio Tinto said the Board appointed iron ore chief executive, Sam Walsh, as the new CEO. The impairment charges included nearly $3 billion relating to Riversdale Mining, as well as a reduction in the carrying value of Rio’s aluminium assets, in the order of $10 to $11 billion. Rio Tinto also expected a number of smaller asset write-downs in the order of $500 million. Rio Tinto will take roughly $14 billion of write-downs for those failed deals. The mining giant had planned to minimize its aluminum arm, cutting back one of the world’s largest producers of the metal by hiving off most of its Australian and New Zealand assets. But industry sources cited by Reuters say it has not attracted any potential buyers. Albanese joins the growing list of mining CEOs leaving their firms in recent weeks. Anglo American’s (LON:AAL) ex-boss, Cynthia Carroll, was recently replaced by Mark Cutifani after investors lost patience with the company’s lacklustre performance. BHP Billiton (ASX, NYSE:BHP) has said that it is looking for a successor to Marius Kloppers and Xstrata’s (LON:XTA) Mick Davis is seeking new employment after the merger between his firm and Glencore. 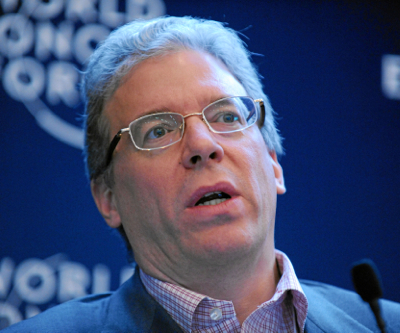 Image: Tom Albanese at the Annual Meeting 2012 of the World Economic Forum. Wikimedia Commons.